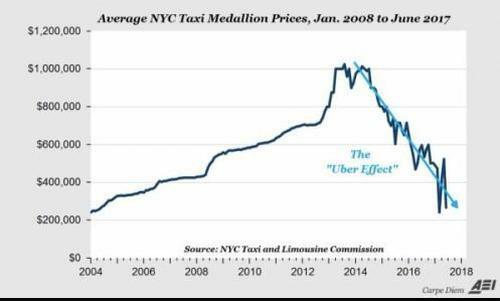 With taxicab drivers in New York City, the story has been the same for the last couple of years: many are dealing with depression and suicidal thoughts after Uber and Lyft have decimated their industry, rendered their medallions relatively worthless and made it difficult for them to pay bills. It’s a story that we have been following in depth over the last couple of years, reporting on an increasing number of drivers who have committed suicide as a result of their livelihood being pulled out from underneath them. The New York Times followed up on this epidemic recently, profiling cabdrivers like Nicanor Ochisor, who had to be dragged to the doctor by his wife due to his depression in March of this year. But this wasn't enough - he turned out to be one of six cabdrivers who committed suicide over the course of the last year. These men feel overwhelmed and often watch their prospects for retirement dissolve right in front of them. Undoubtedly, it can be difficult and lonely behind the wheel of a taxi, especially with the industry under fire. But now, New York City is trying to step in, placing a cap on Uber and Lyft drivers, as well as urging taxi drivers to seek out help when necessary. New York City is now considering a set of bills that would establish a health fund for taxi drivers, also creating "driver assistance centers" for counseling and financial advice. One of the bills is set to offer relief to medallion owners who have a significant amount of debt. A council speaker stated that the city was considering a partial bailout or hardship fund for medallion owners who drive their own taxis. Corey Johnson, the Council speaker, told the NY Times: "For the smaller individual medallion owners, what can we do to help them get out from under this crushing debt? We’re trying to figure out a way to do that." The rise in suicides and the publicity that they have gotten have forced drivers to speak out about the stresses of their industry with their families. The Times caught up with one driver, Lal Singh, who said that after three years of driving a taxi, he had considered suicide. He told the Times: "When I hear that somebody did suicide, I was thinking about me. I’m going to be one of them one day.” Singh owes about $6200 per month on the medallion he bought in 2000 and spends his day driving the length of Manhattan, top to bottom, looking for passengers. "When you have nothing to do, we are suffering. What are you living for?" he continued. Another driver, Muhammad Anil, who owes more than $500,000 on his medallion, had to have a talk with his children and reassure them that he was OK after they saw the headlines about the suicides. The drivers that are most vulnerable are people between the ages of 45 and 64, according to Barbara Stanley, psychology professor at Columbia University. She noted that people with past depression issues may be more vulnerable to this stressful environment than others. Some drivers, like 70 year old Harbans Singh, say they don’t want help from the taxi and limousine commission. He works 12 hour shifts to help pay off his medallion debt. “I don’t trust the T.L.C.,” he said. Financial assistance is the number one type of assistance sought out by drivers. The city says they find themselves in a difficult position because a buyout of medallion owners could cost billions. The alternative ridesharing apps like Lyft have considered putting together a $100 million hardship fund for drivers. The catch? They want the city to drop the cap on the number of drivers they can have. Unsurprisingly, cab drivers would rather see Uber and Lyft restricted. Nicolae Hent, a friend of Nicanor Ochisor's, went to the doctor back in 2005 after he battled with his own anxiety issues. He now takes two anti-depressants and plays tennis regularly to cope. 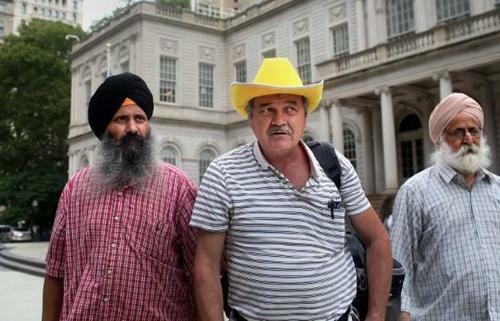 Hent is 62, owes about $130,000 on his medallion and is leading the charge to get the city to assist cab drivers. He told the Times, "I’m not going to kill myself. I won’t kill nobody. But I’ll fight until I die."